As you may be aware from a few previous posts I'm currently on holiday! 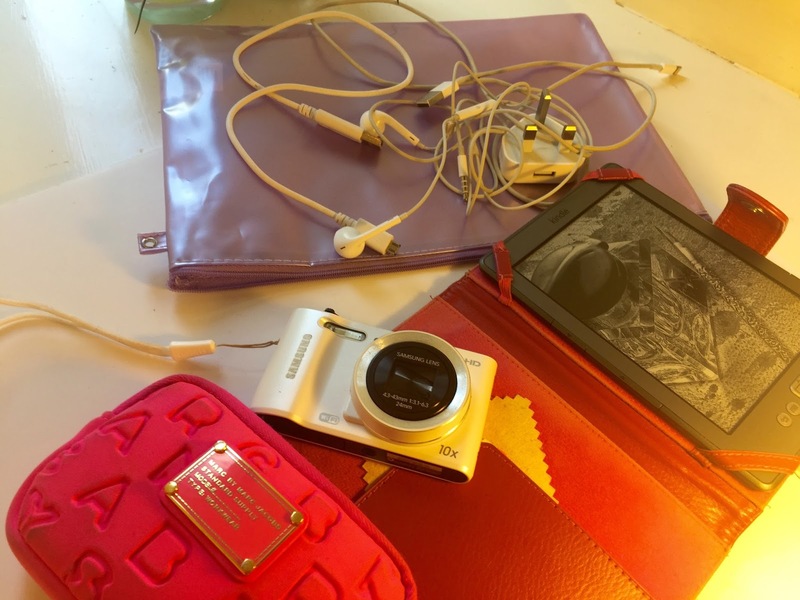 I thought I would share with you whats in my travel hand bag :). I love seeing posts like this and watching videos as I'm nosey but it also helps for me to be organised. 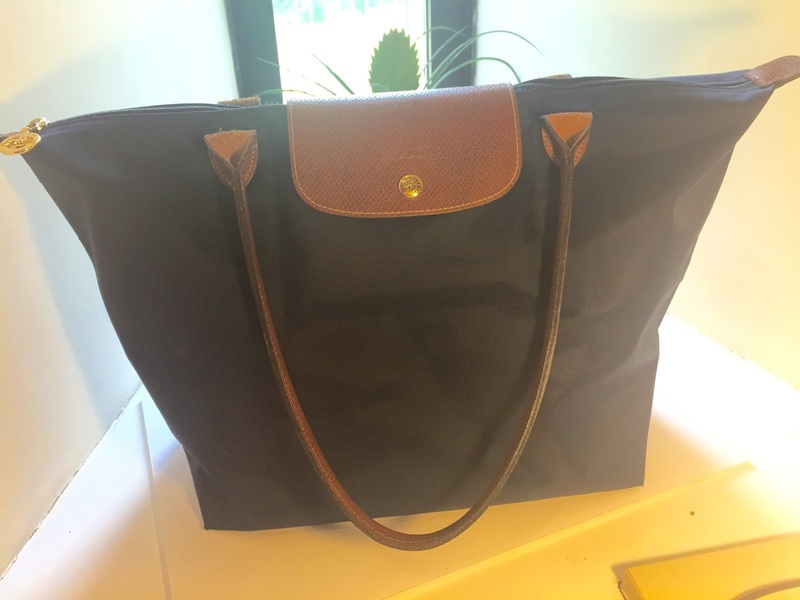 Im taking my normal every day hand bad with is my Longchamp Le Pilage large shopper tote in navy. I got this for my birthday last year and it is so handy as it just fits everything in. Not pictured here I will be taking my purse obviously, which is from Vivienne Westwood, my sunglasses that are from Stella McCartney and then my regular glasses that are from Religion, a tangle teaser and of course my Passport. 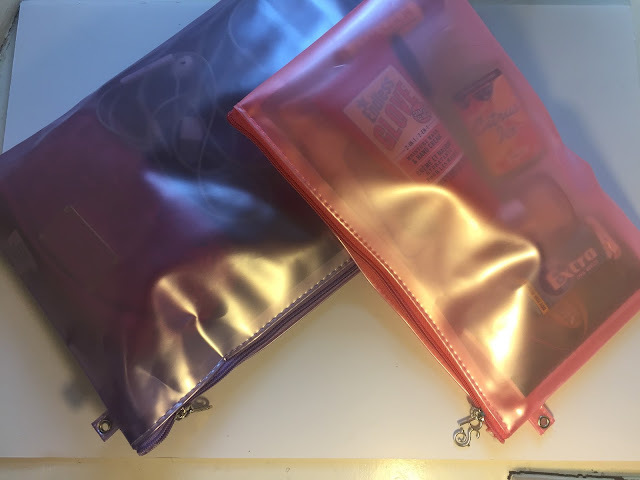 I picked up a set of three little zip up bags to store my other bits rather than having it all over my bag. In the large one I am keeping my electrical bits including my camera, Kindle, head phones and then various chargers. 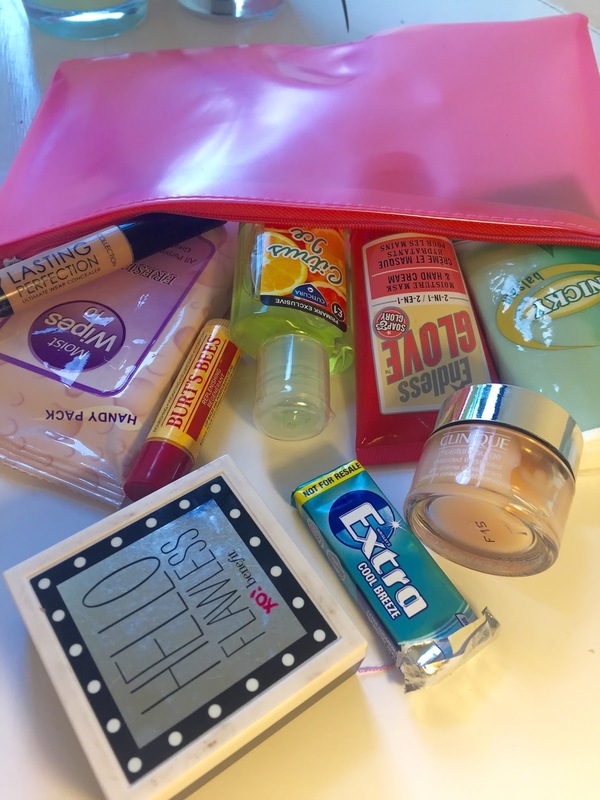 Then the smaller one is for little beauty bits so I have packed: Tissues, citrus scented hand sanitiser from primark, hand lotion from Soap and Glory, a pack of wipes, a Burts bees lip balm, collection lasting perfection concealer, Benefit Hello Flawless powder, Extra chewing gum and Clinique mini cream (just in case). Im sure more shall be thrown in last minute but this is all I had pre-organised. Mega excited to go although when you are reading this I shall be there woo!